Australia is raising its retirement age to 70. The U.S. should do the same for Social Security. 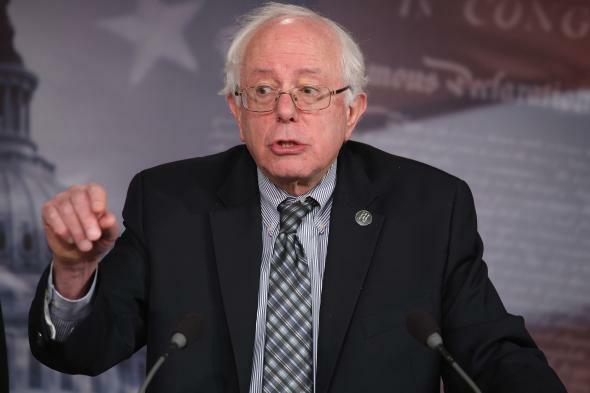 Sen. Bernie Sanders of Vermont, proposing to raise payroll taxes for Social Security instead of raising the retirement age, on March 7, 2013. A timely idea is coming to us from the other side of the world. The idea is to raise the eligibility age for retirement benefits to 70. Demographers and policy wonks have been talking about this idea for years. It’s based on the growth of life expectancy. In many countries, as things stand, the increasing number of years in which people draw benefits will overwhelm the unchanged number of years in which they’re paying into the system. The logical solution is to raise the retirement age, so that the benefit-drawing years are matched by an increase in the number of paying-in years. This solution is fair in two ways. Collectively, the increase in healthy life expectancy (people are remaining physically fit longer) pays for the overall increase in life expectancy. And individually, each person capable of carrying his own weight is expected to do so. In the U.S. and some other countries, the age for collecting retirement benefits is being adjusted gradually from 65 to 67. Now Australia is going further. In a budget plan presented two days ago, the Australian government proposed to raise the pension eligibility age to 70. Australia’s treasurer, Joe Hockey, points out that in 1908, when the pension system was established, Australian life expectancy was 55. Now it’s 85. Opponents of the change offer two good arguments. One is that manual laborers, who are poorer to begin with, are less likely than white-collar workers to be capable of doing their jobs as their fitness declines. The other concern is that older workers will be pushed out of the labor market by age discrimination, forcing them to live on unemployment insurance instead of pensions. To address these concerns, the government is offering employers $10,000, spread out over two years, to hire and retain anyone over age 50 who’s drawing unemployment benefits or a disability pension. “Most of us change jobs at some stage,” Prime Minister Tony Abbott observes. “You are unlikely to be a laborer in your late 60s, but there are all sorts of reskilling, retraining opportunities.” Maybe you can’t lay bricks anymore, but you can drive a truck. If the incentives aren’t adequate or well-structured, they can be revised. And there will always be people who can’t work and need disability benefits. But the principles of the Australian initiative are sound. First, retirement programs must be financially sustainable. They can’t perpetually dump debt on future generations. Second, people who can work instead of drawing benefits should do so. Third, the problem of employing older workers is already here, regardless of the retirement age. The solution is to help them find useful work, not to put them on a permanent dole. “We’ve got to start changing the culture,” says Hockey. The left disagrees. An Australian opposition spokesman says the government is suggesting, outrageously, that “Australians should work longer than anybody else in the developed world.” But that’s only because Australia is taking the lead. The rest of us, including the U.S., should catch up.